Various proposals suggest that growing crops that reflect more light (either new genetically-engineered crops, or high-albedo varieties of existing crops) could cool the atmosphere by reflecting more solar radiation back into space. 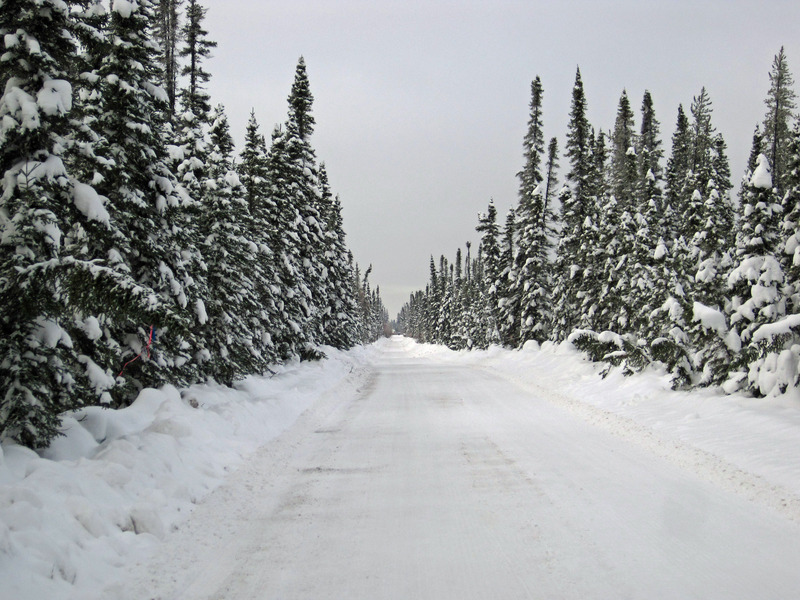 Others suggest clearing forests in areas that are snow-covered for a large part of the year, which would increase the amount of light reflected back into space by the flatter, brighter snow. Using genetically modified crops or trees carries all the biosafety and land use impacts of these plantations, including soil erosion and heavy use of contaminating agrochemicals. Clearing forests to create white desserts would seriously and negatively impact biodiversity and climate. High albedo crops: Researchers are proposing to genetically engineer crop plants in major agricultural areas to give the plants more reflective leaves.1 Little is known about the potential risks of increased reflectivity for the nutritional content of the plants, their photosynthetic capacity or on surrounding soil. Genetically engineered plants could spread their “reflectivity” to other relatives, with unknown consequences. Desert covering: More than a decade ago, entrepreneur Alvia Gaskill laid out a scheme to cover a significant portion of the world’s deserts with white, polyethylene film to reflect sunlight and lower surface temperatures.2 Deserts have plants, animals and people living in them, and it is difficult to imagine life continuing in a plastic-covered ecosystem. Desert dust, which will be hindered by plastic coverings, is essential for the global climate because it influences solar radiation, cloud formation and even ocean cooling.3 Cooler desert temperatures may also bring unexpected changes. Like many geoengineers, Gaskill suggests if there are too many political, ecological or weather challenges (the plastic has to be kept in place for several hundred years, for example), the projects could be local. However, local applications would have a minimal climate effect and would not justify the expense and disruption. 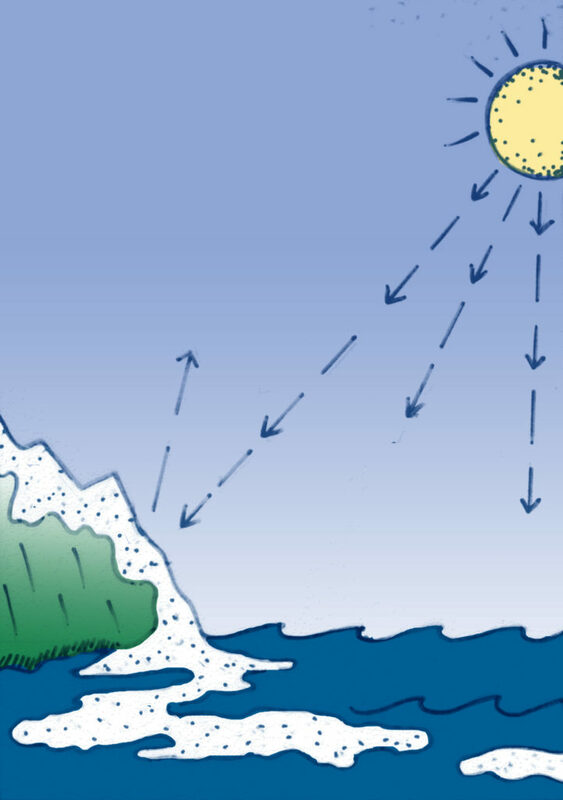 Surface Albedo Modification refers to a number of techniques that aim to reflect light back into space by modifying land surfaces like deserts, farmland, or ice. Ice covering: Similar to desert covering, coatings – perhaps a nanotech film or small glass beads – would be applied to Arctic ice as a “reflective band aid” to insulate rapidly melting snowpack and glaciers.4 An experimental project championed by Leslie Field, an engineer at University of California, Berkeley, with a resumé that includes work for Chevron and Hewlett Packard, has used regular plastic garbage bags, among other materials, to do this in Canada and California. She has set up a crowd-funding site to expand the project.5 Possible negative effects, for example to weather, water temperature and biodiversity, and the environmental impact of the covering material itself, appear not to have been considered. Snow Forest Clearance would involve removing vast swaths of boreal forest. Most of these ideas are just theories, although some are much technologically simpler to implement than others. 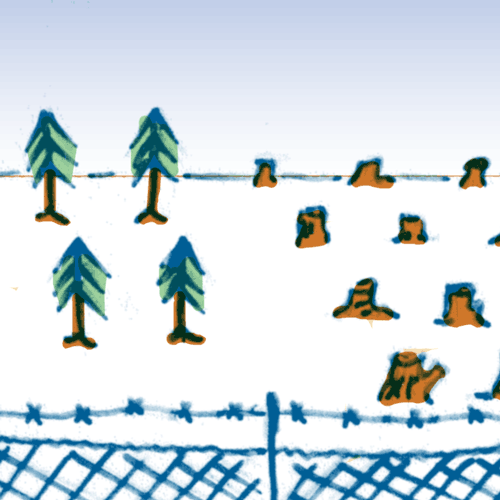 Snow forest clearance is one obvious example, with added (short-term) profits for forestry companies. Research into high-albedo crops aligns with global efforts to engineer the world’s food supply, so this idea may therefore gain attention. All these proposals are clear examples of the narrow-minded, reductionist mentality that characterizes geoengineering, which ignores the profound value of biodiversity and overlooks the multifunctionality and interconnectedness of ecosystems. 2. Alvia Gaskill, Jr. “Summary of Meeting with US DOE to Discuss Geoengineering Options to Prevent Abrupt and Long-Term Climate Change, 29 June 2004, http://www.homepages.ed.ac.uk/shs/Climatechange/Geo-politics/Gaskill%20DOE.pdf. 9. Xuhui Lee et al, “Observed increase in local cooling effect of deforestation at higher latitudes,” Nature, Vol. 479, No. 17, 2011. 10. Nikhil Swaminathan, “More Trees, Less Global Warming – Right? Not Exactly,” Scientific American, 10 April 2007, https://www.scientificamerican.com/article/tropical-forests-cool-earth/.